This may sound strange to you. How can the Kingdom be restored, one sukkah at a time? What does this mean? We have come to understand the main purpose of the Tabernacle through a previous study “Assembling together… how did we get from a tabernacle to a church or synagogue?” The foremost, but not the only, purpose of the tabernacle was to be a set apart place for YHVH to dwell with His people. We want to show you how the feast of Sukkot, also known as the feast of Booths or the feast of tabernacles, is not only connected with the tabernacle but also a picture of YHVH dwelling, once again, among His people. We will also show you how this feast is part of YHVH’s restoration process. First, some background on the tabernacle. YHVH showed Moses how the tabernacle had to be built, every detail of it. The tabernacle was built for YHVH, so that He may dwell among His people. This tabernacle was patterned on the heavenly tabernacle (Heb 8:5) and YHVH dwelled in this earthly tabernacle. This tabernacle was in use for almost 480 years, until the Temple was built by Solomon. We also know from Scripture that although the Temple was not commanded by YHVH, He approved of it and dwelled there (2 Chron 7:15). Although YHVH dwelled in both the Tabernacle and Solomon’s temple, we know from Scripture that His presence left. This was due to sin. We have seen this same pattern in the study about us being living Temples. Keep this in mind, you shall understand the connection later. One of the appointed times is also referred to as the Feast of Tabernacles. YHVH gave us His appointed times as both rehearsals and prophetic events. Sukkot is one such Feast, pointing to a time when YHVH once again dwells in the midst of His people. 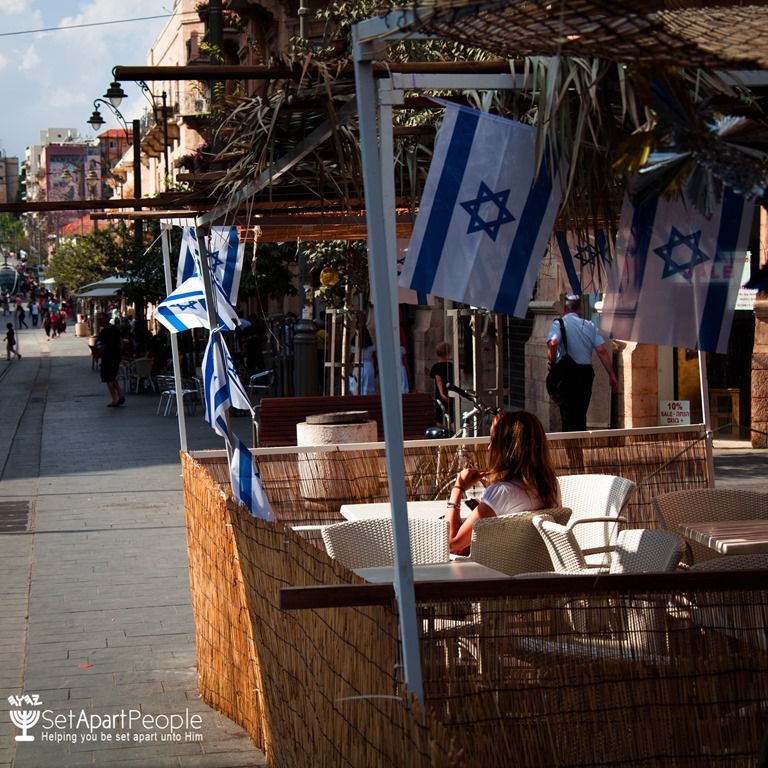 Sukkot is also often referred to as the feast of tabernacles. We shall expand upon this later in the article. This feast, Sukkot, is also known as the feast of Booths, or temporary dwellings. In Leviticus 23, we are commanded to celebrate this feast. 34 “Speak to the sons of Israel, saying, ‘On the fifteenth of this seventh month is the Feast of Booths for seven days to YHVH. 35 ‘On the first day is a holy convocation; you shall do no laborious work of any kind. 36 ‘For seven days you shall present an offering by fire to YHVH. On the eighth day you shall have a holy convocation and present an offering by fire to YHVH; it is an assembly. You shall do no laborious work. From this definition, we can deduce that a sukkah is a temporary dwelling place, a covering, or a canopy. Keep this in mind as we continue. Why is this feast also referred to as the feast of tabernacles? Sukkot is often referred to as the feast of Tabernacles, yet when you look at the Hebrew words used in the Tanakh, it is not the feast of “mishkans,” but the feast of “booths.” So, is it correct to, even, refer to this Feast as the feast of Tabernacles? In Hebrew, “sukkah” and “miskan” are respectively used to translate “booth” and “tabernacle,” both meaning temporary dwellings. It is interesting to note that these two words are both translated to Greek in the Septuagint with a derivative from the root “skene.” “Skene” is the Greek word used for a tabernacle, in the Apostolic writings. 9 “According to all that I am going to show you, as the pattern of the tabernacle and the pattern of all its furniture, just so you shall construct it. Here is Exodus 25:9 as rendered in the Septuagint. We see here the Greek word “skenes” used for tabernacle. 34 “Speak to the sons of Israel, saying, ‘On the fifteenth of this seventh month is the Feast of Booths for seven days to YHVH. We also learn from Scripture that this feast is to be celebrated perpetually. 41 ‘You shall thus celebrate it as a feast to YHVH for seven days in the year. It shall be a perpetual statute throughout your generations; you shall celebrate it in the seventh month. We also find scriptural proof that it will be celebrated after the return of Y’shua. This appointed time will be celebrated by all nations in the end. Those people who will not go up to Jerusalem to celebrate the feast will be punished. 16 Then it will come about that any who are left of all the nations that went against Jerusalem will go up from year to year to worship the King, YHVH of hosts, and to celebrate the Feast of Booths. 17 And it will be that whichever of the families of the earth does not go up to Jerusalem to worship the King, YHVH of hosts, there will be no rain on them. 18 If the family of Egypt does not go up or enter, then no rain will fall on them; it will be the plague with which YHVH smites the nations who do not go up to celebrate the Feast of Booths. What is written in Scripture about the celebration of the feasts during the exile? 11 “I will also put an end to all her gaiety, Her feasts, her new moons, her sabbaths And all her festal assemblies. 5 What will you do on the day of the appointed festival And on the day of the feast of YHVH? Here, Jeremiah wrote of the fact that no one came to Jerusalem for the Pilgrimage feasts. In chapter two, he continues to describe what is happening after the exile took place. 6 And He has violently treated His tabernacle like a garden booth; He has destroyed His appointed meeting place. YHVH has caused to be forgotten The appointed feast and sabbath in Zion, And He has despised king and priest In the indignation of His anger. According to the Jewish virtual library, the Jews in exile continued to keep the Sabbath and Feasts as best they could. They could not possibly celebrate the feasts in the same way they celebrated it before. We could not find any to prove from Scripture that the feasts were celebrated in Babylon during the exile. We can therefor not come to a definite conclusion and say that the Sabbath and feasts were celebrated in exile. Neither do we have evidence that the exiles didn’t celebrate the Sabbath and Appointed times while in exile. From a previous study “Assembling together…how did we get from a tabernacle to a church or synagogue?“ we have learned that some teach that the synagogue, as we know it today, as a place of worship, started during the Babylonian exile. There is, however, very little archaeological or textual proof for this. There is also a mindset that we are not to celebrate these days as we cannot fulfil all the commandments. As the Temple does not currently exist, we are not able to perform the required sacrifices. Should we therefor ignore these commandments and await the rebuilding of the Temple? Or should we wait until we are restored back to Israel? We, therefor, believe that we are to observe the commandments to the best of our ability. The truth was revealed to us for a reason, we are not only to believe the truth but live it. We live truth by observing the commandments out of love for YHVH. There are three more reasons to consider. Firstly, these feasts are perpetual, as we have seen from Leviticus 23:41, and serve a very important purpose. These appointed times are rehearsals and are part of YHVH’s restoration process. He teaches us about Himself and His nature through the feasts. Secondly, we do not get to choose whether or not we celebrate these feasts, as it is commanded for us to do. Thirdly, the phrase “in your dwellings” is used quite often in the context of the Sabbath and the Feasts. It does not read in your dwelling in Israel. Earlier, we mentioned that the feasts are part of YHVH’s restoration process. How is that? It is prophesied that restoration will come before Y’shua returns for judgment. We are living at that time; the hearts of the children (us) are being restored to our fathers (the patriarchs). We are returning to the ancient ways, YHVH’s ways. We have done another study on “When shall the restoration of all things be?” If you would like to learn more, you can read it. However, let us look at how this restoration is connected with the feast of Sukkot. A verse that specifically connects restoration with Sukkot is found in the book of Amos. 11 “In that day I will raise up the fallen booth of David, And wall up its breaches; I will also raise up its ruins And rebuild it as in the days of old; 12 That they may possess the remnant of Edom And all the nations who are called by My name,” Declares YHVH who does this. This is a good explanation of what this verse means, but there is more to it. Ramona spoke about the falling booth (sukkah) of David as spoken of in this verse in Amos. 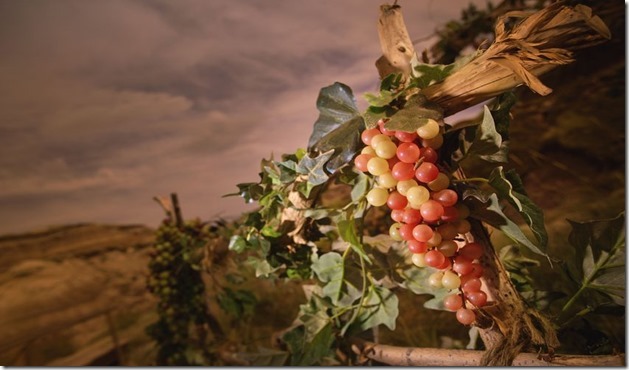 The “sukkah” of David is the Kingdom, and we are waiting for the kingdom to be restored, for both houses to form the sukkah, to come together again under one King. The restoration of all things as spoken of in Acts 3:20-21. 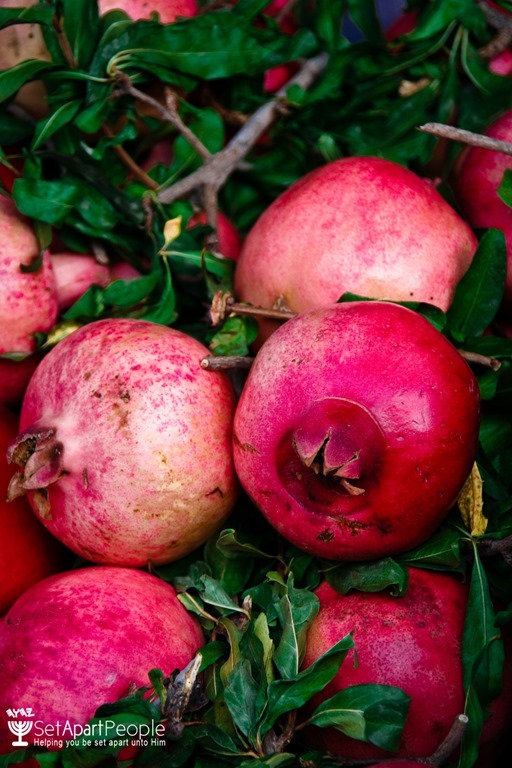 Take note the sukkah is “falling,” not “fallen.” The word is in the Qal form, the simple active form, thus “falling.” Why is this word in this form? Why “falling?” The reason is this is still happening. This falling refers to sin and unrighteousness, which is still continuing. We are that sukkah and as long as it is not housing the presence of YHVH, it will continue to fall. It is explained to us in Ps 139. 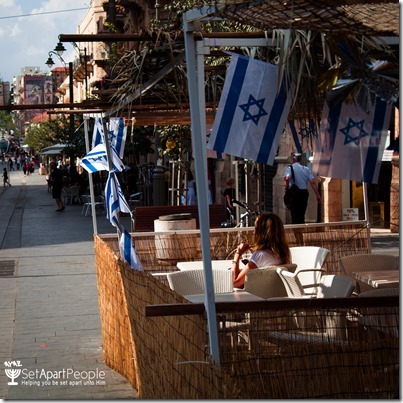 We have seen that a sukkah is a covering, something that separates the inside from the outside. It is a complete structure, it has a roof and walls though it be fragile and temporary. That takes us back to the falling sukkah of David. That Kingdom is made out of little sukkahs and as long as these are not complete, housing the presence of YHVH in them, they are falling. This verse from Amos, is quoted in the book of Acts by James to show that Y’shua is the fulfilment of this prophecy. 16 ‘After these things I will return, And I will rebuild the tabernacle of David which has fallen, And I will rebuild its ruins, And I will restore it, 17 So that the rest of mankind may seek YHVH, And all the Gentiles who are called by My name,’ 18 Says YHVH, who makes these things known from long ago. Y’shua will rebuild the tabernacle (sukkah as it is written in Hebrew) of David when He returns. That process of restoration has started; we are being rebuilt; we are part of this restoration process. The reunification of the house of David has not yet taken place. The restoration process has begun, as we have seen prophesied in Malachi, but is not yet completed. Y’shua will restore all things when He comes again. Y’shua will regather Israel and Judah and once again make them one nation. 12 And He will lift up a standard for the nations And assemble the banished ones of Israel, And will gather the dispersed of Judah From the four corners of the earth. This regathering is also described in the book of Ezekiel. 16 “And you, son of man, take for yourself one stick and write on it, ‘For Judah and for the sons of Israel, his companions’; then take another stick and write on it, ‘For Joseph, the stick of Ephraim and all the house of Israel, his companions.’ 17 “Then join them for yourself one to another into one stick, that they may become one in your hand. 18 “When the sons of your people speak to you saying, ‘Will you not declare to us what you mean by these?’ 19 say to them, ‘Thus says YHVH Elohim, “Behold, I will take the stick of Joseph, which is in the hand of Ephraim, and the tribes of Israel, his companions; and I will put them with it, with the stick of Judah, and make them one stick, and they will be one in My hand.” ’ 20 “The sticks on which you write will be in your hand before their eyes. 21 “Say to them, ‘Thus says YHVH Elohim, “Behold, I will take the sons of Israel from among the nations where they have gone, and I will gather them from every side and bring them into their own land; 22 and I will make them one nation in the land, on the mountains of Israel; and one king will be king for all of them; and they will no longer be two nations and no longer be divided into two kingdoms. 23 “They will no longer defile themselves with their idols, or with their detestable things, or with any of their transgressions; but I will deliver them from all their dwelling places in which they have sinned, and will cleanse them. And they will be My people, and I will be their Elohim. We have shared earlier how YHVH revealed His truth to us and how we are returning to His ways observing His commandments. From this, we come to understand that our awakening to the truth to celebrate the Sabbath, and His Feasts are all part of His plan of restoration. The time of exile is over, and His people are returning to Him. They (we) are being restored back to His ways, which includes the Sabbath and His appointed times. It is also very interesting to note that “those who grieve about the appointed feasts” will be the ones gathered, they are the remnant. From this, we see the remnant will be those who follow YHVH’s way. That includes His Sabbath and appointed times. Are you a part of that remnant? You can be; it is your choice. You can choose today to repent and return to YHVH. Let us remember when we celebrate this feast of Sukkot that we are sukkahs and that we are being restored back to YHVH. Y’shua made this possible for us; He took our punishment upon Himself, thereby making it possible for us to be restored back to the Father. Let us rejoice in that! He will come again and complete this restoration process. Then we will have a wedding feast and there will be a new beginning. You can learn more about this in the following article about the eighth day. Please subscribe to our list to make sure you don’t miss it. May you have a blessed feast and may we be restored and made complete in Him, our Savior Y’shua. Sunukjian, D. R. (1985). Amos. (J. F. Walvoord & R. B. Zuck, Eds. )The Bible Knowledge Commentary: An Exposition of the Scriptures (Vol. 1, p. 1451). Wheaton, IL: Victor Books. Gesenius, W., & Tregelles, S. P. (2003).Gesenius’ Hebrew and Chaldee lexicon to the Old Testament Scriptures. Bellingham, WA: Logos Bible Software.